Complex treatment of arrhythmia, tachycardia; Hawthorn is used for treatment of atherosclerosis and various kinds of diseases of the cardiovascular diseases, especially in senior citizens; Immunity boosting; Essential hypertension; Menopause and post-menopausal period; For persons with high mental and physical loads; Overstrain, stresses. One 500 mg tablet contains hawthorn flowers and fruit – 300 mg, excipients. One 400 mg capsule contains hawthorn flowers and fruit – 300 mg, excipients. Hawthorn is a plant, used in officinal and folk medicine both in Ukraine and other countries of the world. Its fruit contain organic acids, carbohydrates, sorbitol, pectic substances, ascorbic acid, beta-carotene, vitamin K, phenolic compounds, anthocyans, leucoanthocyanidins, catechins, phenolic acids, coumarines, sterines, triterpenic acids (ursolic, oleanolic). Biologically active substances in hawthorn improve coronary and cerebral circulation, increase sensitivity of the myocardium to cardiac glycosides, enhance myocardial contractility slightly and reduce its excitabilit, provide sedative effect, normalize blood pressure. 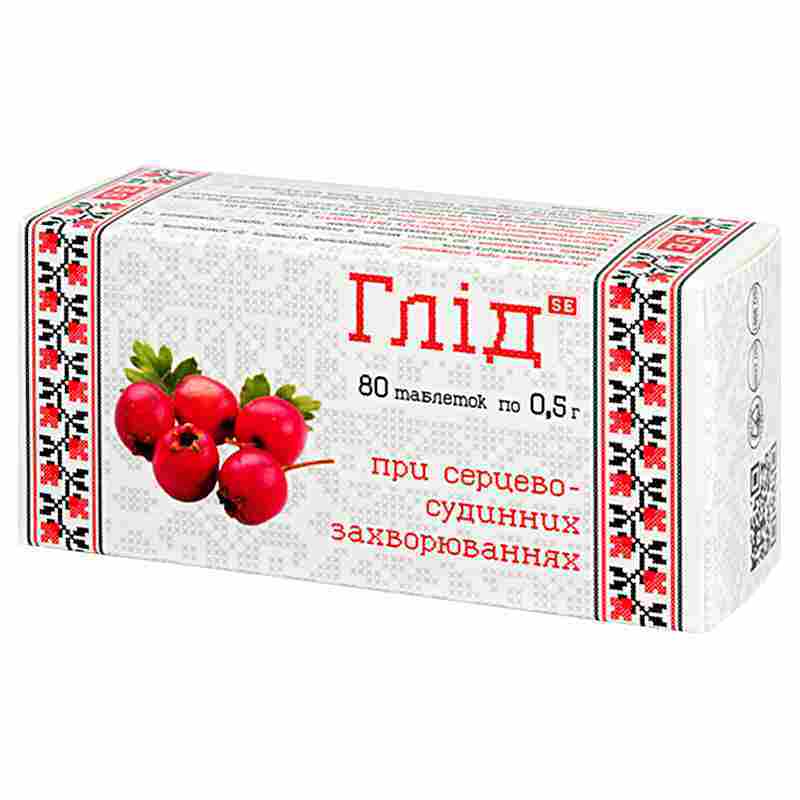 It is recommended for prevention of functional disorders of the cardiovascular system and blood pressure normalization. Adults stake 1 tablet/capsule thrice a day after meas. Individual sensitivity certain components, pregnancy, lactation. Proteins – 3.6 g, carbohydrates – 6.65 g, fats – 0 g.